Money Changes Everything; How Finance Made Civilization Possible (2016) | Moral Markets? In the aftermath of recent financial crises, it's easy to see finance as a wrecking ball: something that destroys fortunes and jobs, and undermines governments and banks. 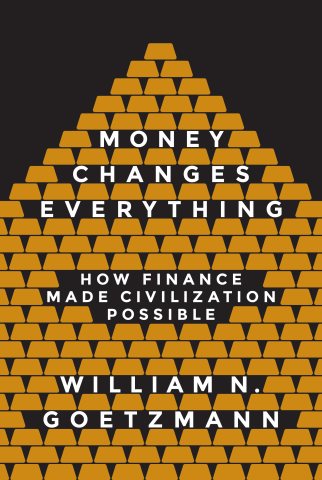 In Money Changes Everything, leading financial historian William Goetzmann argues the exact opposite — that the development of finance has made the growth of civilizations possible. underwriting the trade expeditions that led Europeans to the New World. He also demonstrates how the apparatus we associate with a modern economy — stock markets, lines of credit, complex financial products, and international trade — were repeatedly developed, forgotten, and reinvented over the course of human history. Exploring the critical role of finance over the millennia, and around the world, Goetzmann details how wondrous financial technologies and institutions — money, bonds, banks, corporations, and more — have helped urban centers to expand and cultures to flourish. And it's not done reshaping our lives, as Goetzmann considers the challenges we face in the future, such as how to use the power of finance to care for an aging and expanding population. endured must have also been socially valuable and therefore 'selected' through much trial and error. This occurred on both small and very large scales from ancient villages to full-blown civilizations." "Thankfully, Goetzmann does not appear to be motivated to live up to the hyperbolic title. 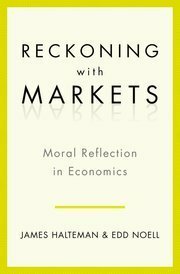 This is a work of measured claims and meticulous research with a focus on finance as a 'co-factor' in the advance of moral and material progress. [...] Goetzmann’s treatment of financial history is remarkable in its sure-footedness outside his home discipline: he seems equally at home in the modern glass structure of the Yale School of Management and the Yale Babylonia Collection a 10-minute walk away. [...] Money Changes Everything is also a tactile and visual history. It is rich with illustrations, and often reported from ground level as Goetzmann travels to dusty European archives or to sites of historical financial significance. The author is at his best when his hands are dirty and there is something to see and touch. [...] The book is distinguished not only by its multidisciplinary fluency but also by Goetzmann’s voice, which moves back and forth along the spectrum between authoritative scholar and excitable 10-year-old who has just found a treasure in the garden. [...] Goetzmann does not avoid the problems created by financial technologies throughout history and is careful to note that, like most technologies, finance can be used for good or ill. But he clearly sees the problems as bumps in the road towards a richer and more advanced civilisation. Bubbles, crashes, and bailouts are sidebars in this history: Money Changes Everything is centrally a celebration of progress." 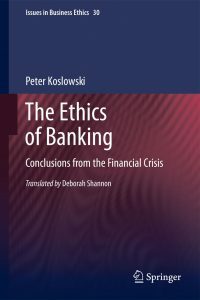 "The idea that dominates this magnificent history of money and finance, and brings order to the erudite survey of modern research that Goetzmann has marshaled, is that finance is a 'technology of civilization' — a way of thinking about and doing things that has been the central facilitator of the material, artistic and cultural accomplishments that we call civilized life. Indeed finance, Goetzmann argues, is a sort of master technology, from which an astonishing range of our most basic habits of mind derives. [...] It is a fascinating thesis, brilliantly illuminated by scores of vivid examples, generously illustrated with a wealth of pictures, comprehensive in its geographical and temporal scope, and in my view almost entirely convincing. There is one aspect of it, however, where both historical evidence and contemporary experience make me less comfortable with Goetzmann’s story. [...] Goetzmann views the progress of financial innovation as an example of humans’ ingenuity in overcoming technical and material challenges. 'Like other technologies,' he writes, finance 'developed through innovations that improved efficiency. It is not intrinsically good or bad.' 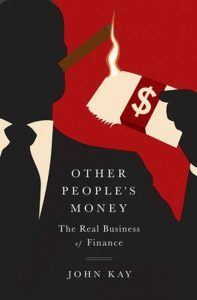 [...] One does not have to be a hard-core Marxist to entertain the idea that finance is not, and did not evolve as, a neutral tool to improve the operation of the free market — itself an ethically colorless state of nature in human relations. This alternative view is in perfect agreement that finance is indeed one of the most powerful tools for the organization of human activity ever invented. But it holds that it arose historically, and continues to be used today, to codify and enforce relationships built on power and luck as much as to facilitate voluntary and rational decision-making. In my view, it is important to take this alternative perspective seriously, because it is difficult to explain the history of finance without it."